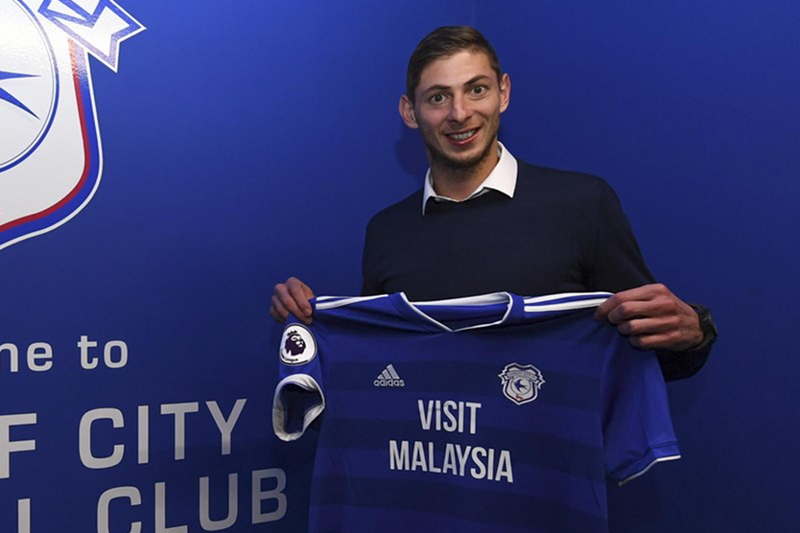 Cardiff City have announced the signing of Emiliano Sala from Nantes. The 28-year old Argentinian striker has agreed a three-and-a-half year deal for a club-record fee, subject to international clearance. "I’m very happy to be here," Sala told Cardiff's official website. "It gives me great pleasure and I can’t wait to start training, meet my new team-mates and get down to work. "For me it feels special [to be the club's record signing]. I have come here wanting to work and to help my team-mates and the club. "I can't wait to get to work straight away and do everything I can." Sala has scored 13 Ligue 1 and cup goals this season and has 48 goals from 132 appearances for Nantes. He is the Bluebirds' second signing of the January transfer window after Oumar Niasse was loaned from Everton on Friday. Cardiff are next in action when they visit Arsenal on 29 January.